There are plenty of families who understand the benefits of owning a compact crossover SUV. They boast comfortable cabins that can usually comfortably sit five, and they usually offer up adaptable cargo areas. Add to that their confident driving capabilities in inclement weather and generally strong fuel economy, it’s no wonder so many folks in the greater Atlanta area have turned to this well-rounded segment. At Butler Auto Group, you can find a huge variety of different compact crossovers for sale at competitive prices. Take a tour of each one to see which one best suits your needs! 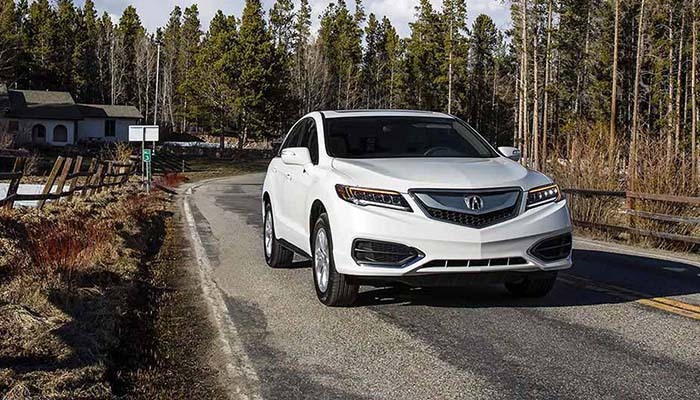 There’s a lot to recommend about the 2018 Acura RDX, a premium luxury crossover with an MSRP from $36,000. You’ll get a standard 3.5L V6 engine that delivers 279 hp and 252 lb-ft of torque, as well as an EPA-estimated 28 mpg/highway and 20 mpg/city. The cabin has a generous variety of standard features, including power front seats, Pandora internet radio, leatherette upholstery, and a moonroof. You’ll also get more cargo space than many other models in this class. If you want a small SUV that delivers robust performance and gives a surprisingly large amount of storage room and an opulent cabin, the 2018 BMW X1 should be at the top of your list. 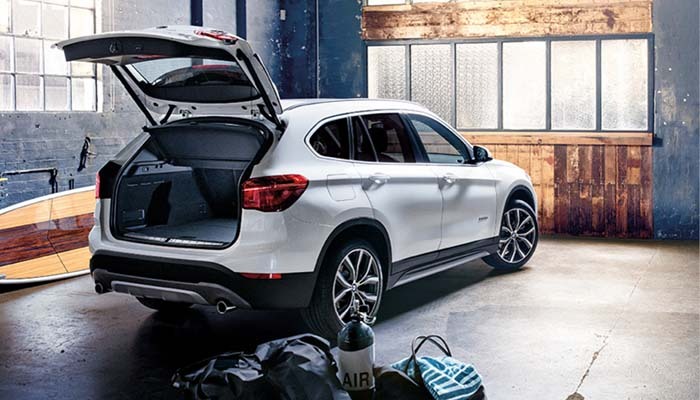 Starting at $33,900 MSRP, the BMW X1 features a best-in-class cargo area, and it’s powered by a turbocharged 2.0L inline-four that delivers 228 hp and 258 lb-ft of torque. It can move from 0 to 60 mph in only 6.5 seconds. On top of that, it gets up to an EPA-estimated 32 mpg/highway. Interior materials are among the finest in the class and include premium leather upholstery, genuine wood accents, and soft-touch materials. 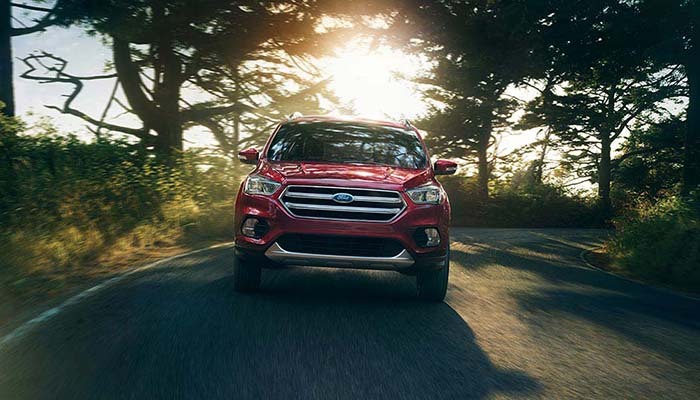 With an affordable starting MSRP of $23,850, the 2018 Ford Escape is much more than a practical choice. It offers exciting driving dynamics and confident acceleration from an available turbocharged 2.0L inline-four that generates 245 hp and 275 lb-ft of torque. There’s also an efficient turbocharged 1.5L four-cylinder available. The Escape sports a variety of high-tech features, including the new SYNC® 3 infotainment system with Apple CarPlay™ and Android Auto™ smartphone app integration. Redesigned just last year, the 2018 Honda CR-V returns with a starting MSRP from $24,150. While the base model comes with the familiar 184-hp 2.4L four-cylinder engine, the rest of the lineup gets a turbocharged inline-four engine that delivers 190 hp and gets up to an EPA-estimated 34 mpg/highway and 28 mpg/city. This Honda compact crossover also comes with 75.8 cubic feet of available cargo space that’s incredibly useful thanks to the flat-folding Honda Magic Seats. Other highlights include the Honda Sensing® driver assistance suite and advanced smartphone app integration. 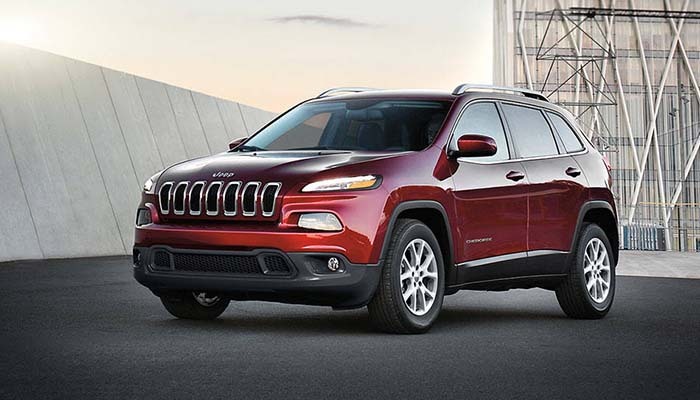 If you think buying a compact crossover SUV means having to sacrifice off-road prowess, then you probably haven’t seen the 2018 Jeep Cherokee yet. This model is offered with an available four-wheel drive (4WD) system, a Selec-Terrain® Traction Management System, and an Active Drive II system with a locking rear differential and low range gearing. An available 3.2L V6 engine generates 271 hp and 239 lb-ft of torque. Still, the suspension remains compliant and refined enough for everyday driving, while the cabin features available comforts like leather upholstery, an 8.4-inch Uconnect® touchscreen, advanced safety features, and much more. It starts at $24,395 MSRP. 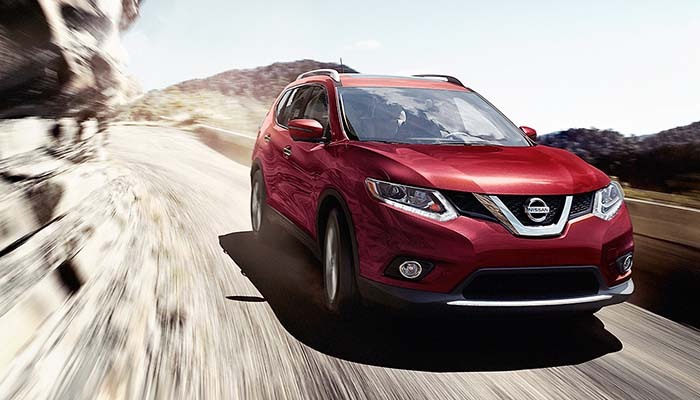 The 2018 Nissan Rogue gives drivers one of the most adaptable cabins in the small crossover SUV segment, featuring an available third-row configuration for more space if you need it. The cabin is very high quality and is offered with features like a surround-view camera, a Bose® stereo system, the NissanConnect® telematics system, and Siri® Eyes Free. Other premium features include an available heated steering wheel, hands-free liftgate, and supple leather upholstery. Its 2.5L four-cylinder engine delivers an EPA-estimated 33 mpg/highway and 26 mpg/city, and the Rogue starts at $24,800 MSRP. 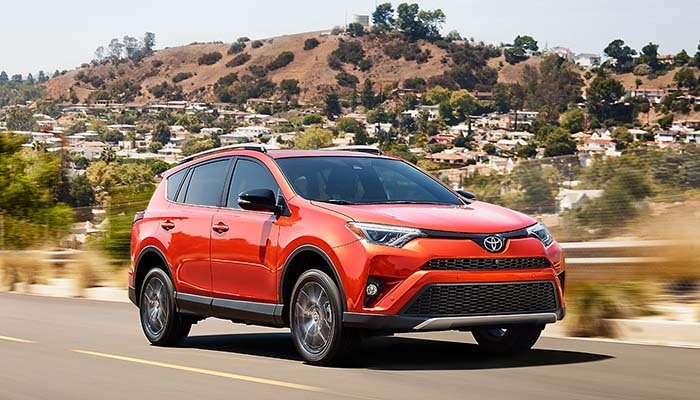 If you’re looking for an affordable and well-rounded crossover that’s got a reputation for dependability, the 2018 Toyota RAV4 fits the bill. 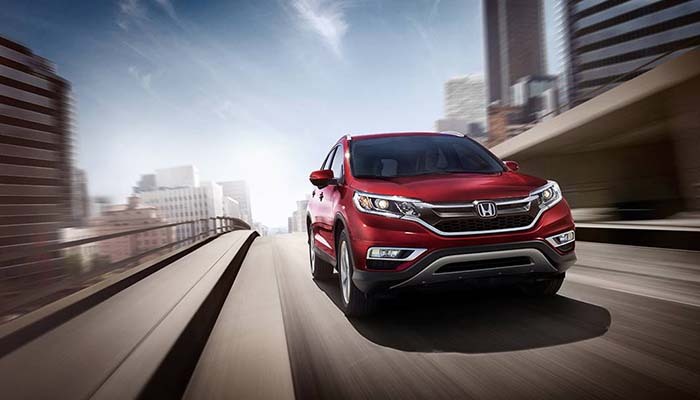 The model that started the small crossover segment returns with an MSRP from $24,510. Every trim features Toyota’s intuitive Entune™ touchscreen interface, Bluetooth® phone and audio, the state-of-the-art Toyota Safety Sense™ P (TSS-P) driver assistance suite. You can also get it with the Scout GPS navigation system and an 11-speaker JBL® stereo system. Fuel economy is strong, too, with up to an EPA-estimated 30 mpg/highway and 23 mpg/city. The starting price for the RAV4 is $24,350 MSRP. 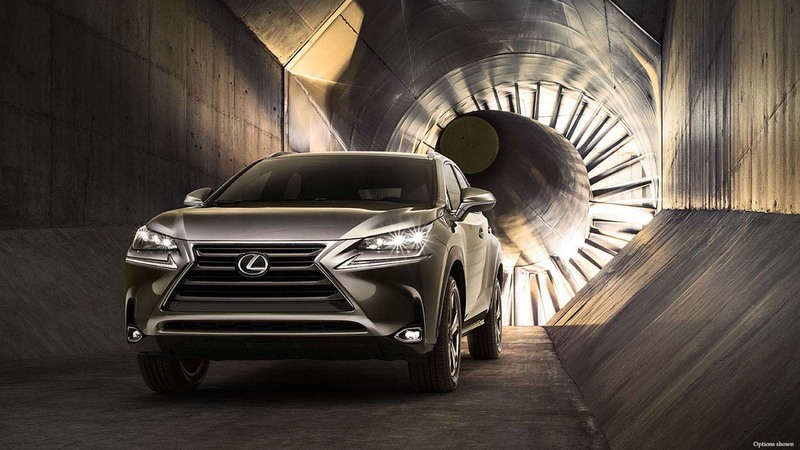 Starting at $35,985 MSRP, the luxurious 2018 Lexus NX 300 is the new name for the Lexus NX 200t. A premium option in the segment, this year’s model gets upgraded styling, a larger remote touch infotainment interface, and a newly standard Safety System+ driver assistance package. The cabin boasts exclusive features like leather upholstery, a wood-trimmed and heated steering wheel, and premium touches throughout. Every model also comes standard with an impressive suite of tech, from the Lexus Enform® Service Connect system to an advanced touchscreen interface, Siri® Eyes Free, SiriusXM® satellite radio, and more. This model is powered by a turbocharged 2.0L four-cylinder engine that generates 235 hp and 258 lb-ft of torque. There are a lot of different options in the compact crossover segment, so you’ve got a tough choice ahead of you thanks to Butler Auto Group, serving drivers throughout Middle Georgia and beyond. We’ve got competitive financing, and our sales team will be happy to run down the benefits of any of the crossovers in our lineup. Contact our staff directly to set up a test drive at your convenience!